The Hunting Party is the new album by Linkin Park. It contains the singles, Guilty all the same, Until it's gone, Wastelands and Rebellion. Buy now on Itunes, the Play Store and on Amazon. A band which originates from Agoura Hills, California, Linkin Park have become one of the biggest and greatest bands in the world. Their blend of alt rock, nu metal and rap has created a sound known to many fans. The band started with high school friends, Mike Shinoda, Brad Delson and Rob Bourdon starting a band called 'Xero'. The band has Mike doing vocals and rhythm guitar, Brad on lead guitar and Rob on drums. Later when Mike went to college, he met Joe Hahn. Joe specialised in turntables and was welcomed into the band. Brad's college roomate, Dave Farrell who played bass also joined the band. In need for a singer, the band's agent managed to find a singer from Arizona with an incredible and dynamic voice. This was Chester Bennington. The band was fully formed and they were ready. 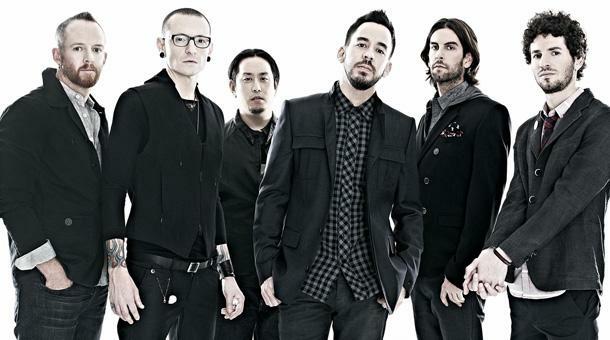 Linkin Park have created 6 studio albums, 3 remix albums and have produce a song for the Michael Bay movie "Transformers: Revenge of the Fallen".